As a life-long comic book and film geek with few artistic skills, I’ve always been a big advocate of fan art. It’s one thing to really enjoy something, but completely different for it to inspire a person to be creative and invent something of their own. For whatever reason, superhero movies tend to be a great source of this inspiration, artists from all around the globe illustrating their best ideas through posters and trailers, and the upcoming Batman vs. Superman film from director Zack Snyder is proving no exception. 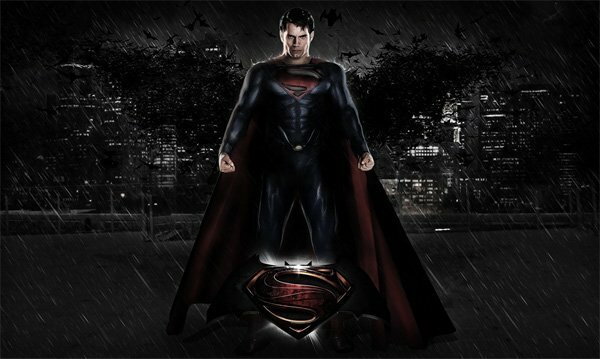 Ever since the project was announced at San Diego Comic-Con last month fans have been imagining what it will be like to see The Dark Knight and the Man of Steel go head-to-head on the big screen, and that excitement has generated some very cool fan artwork. 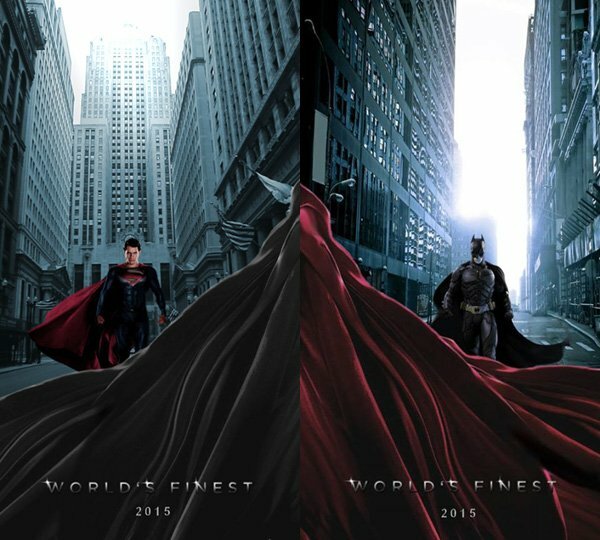 I’ve searched the internet for the best examples of Batman vs. Superman poster designs around, and below you will find ten that I think are the cream of the crop. Check it out! First up for you we actually have a twin set of posters. 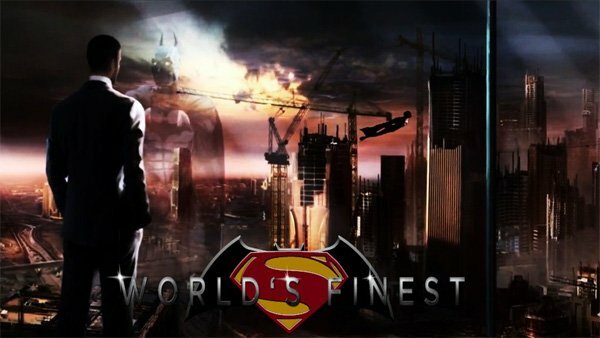 Created by DeviantArt user blaze465 (but discovered on a Batman vs. Superman fan page on Facebook), this design titles the film World’s Finest and each one gives the superheroes their own time in the spotlight while also delivering an Old West showdown kind of feeling. Unlike most of the posters on this list, this design by JoshMC on FanArtExhibit forgoes putting Superman and Batman together in the same image and instead goes with something much more simple. 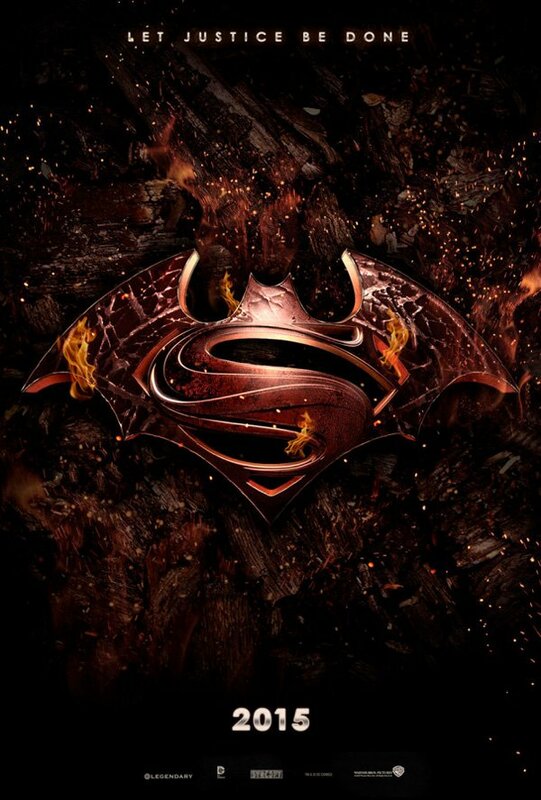 I like the integrated superhero symbol - which admittedly is different than the one that Warner Bros. debuted at Comic-Con in July – but my favorite part of this piece is the cool dark red coloration and the use of fire that references the complete destruction seen at the end of Man of Steel. One thing that I love about the use of the phrase “You are not alone” in Man of Steel is that it can be seen as both a message of hope as well as a serious threat. This design from DeviantArt user RandomFilmaOnline offers a third, awesome translation. To Batman, General Zod’s broadcast is confirmation that there are more superheroes in the world outside of just the Caped Crusader. I will admit that just about all of my appreciation for this design from Reddit user jamce stems from the fan casting of Jon Hamm as Batman, which would be perfect if the studio really is looking for an older actor for the part as has been rumored. After all, if a fan is going to create what they think is the perfect poster for Batman vs. Superman, why not give it a dream cast as well? 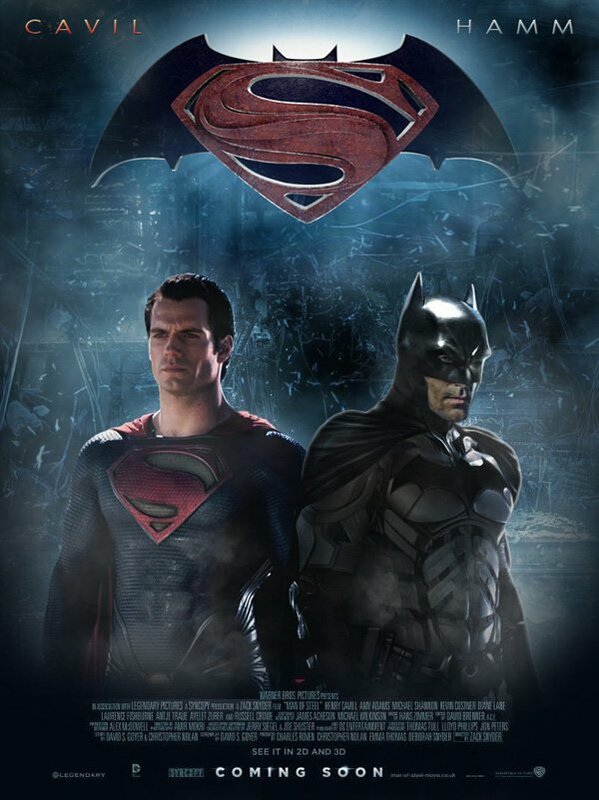 Fan casting is also what inspired this poster from Facebook, but this design stands out simply because it is one of the only ones I found that attempted something other than Photoshoping Batman and Superman together. 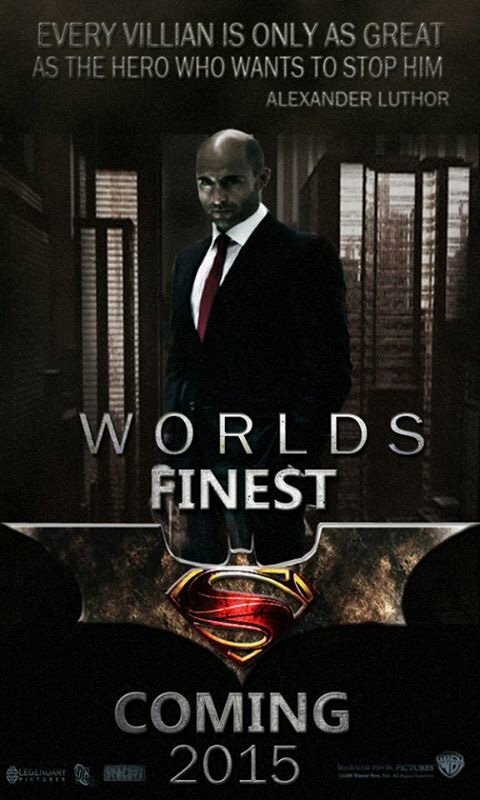 At this point we don’t actually know if the Man of Steel’s arch-nemesis, Lex Luthor, is going to appear in the movie, but if he does it’s not too hard to see them cast an actor like Mark Strong in the part and eventually put out a character poster that looks a lot like this. Yes, I’ll admit that this poster from DeviantArt’s dDsign borrows pretty heavily from the advertising campaign for The Dark Knight, but that doesn’t stop it from being a really cool design. 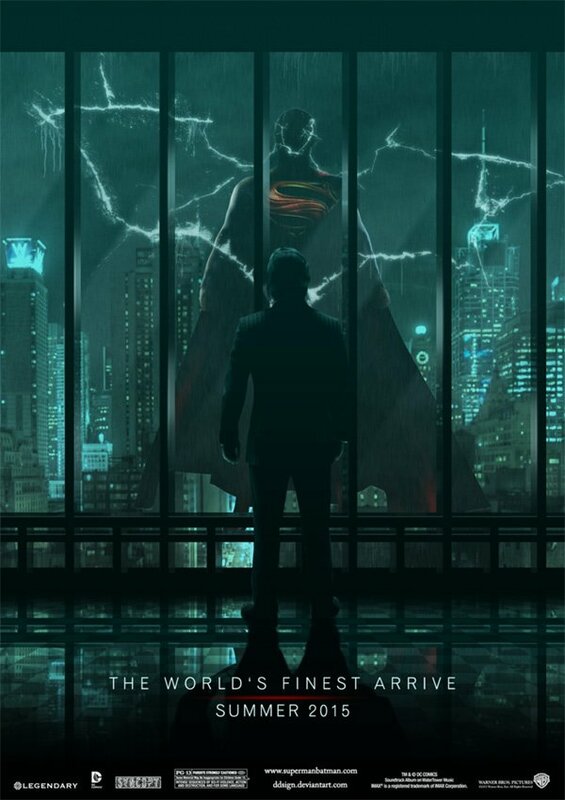 Substituting Bruce Wayne for Batman, hiding Superman in silhouette, and using the cracked glass to form the bat symbol, this works really well as a teaser image and does a good job of artfully suggesting a less than friendly relationship between the two heroes. 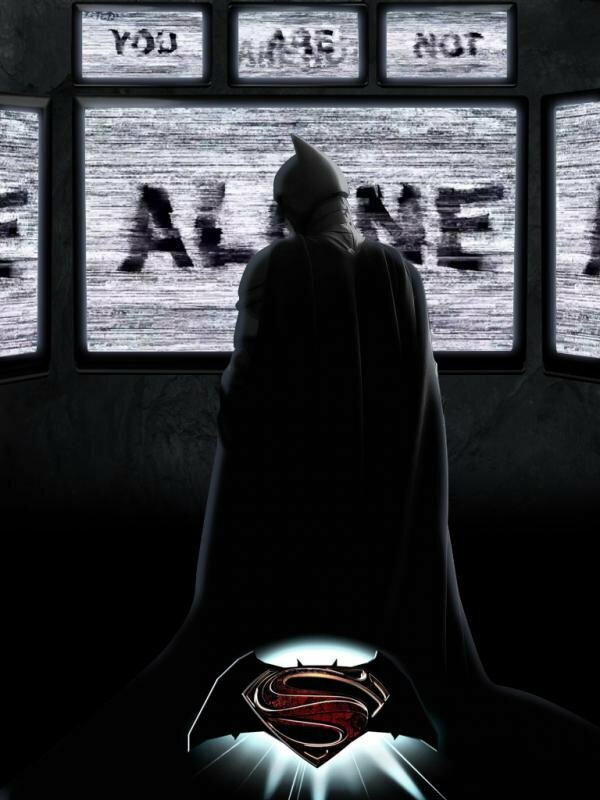 Like the last poster, this piece from DeviantArt user robcheskord3442 also has Bruce Wayne doing some reflecting (get it? ), but also does a good job of incorporating the movie’s rumored plot. 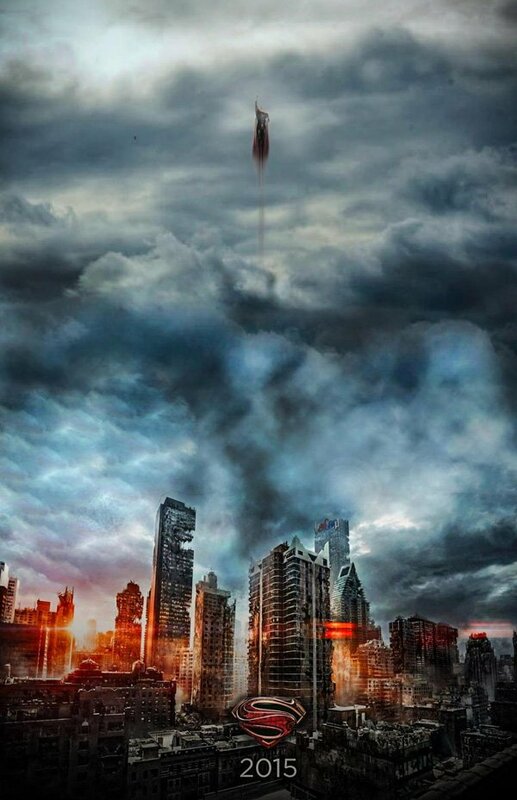 Some have speculated that the movie will have Batman going after Superman because of all of the damage the latter did in Metropolis, and this design definitely feeds off of that idea. Plus, if you look closely enough you’ll see that Wayne is actually staring at a flying Superman through the window, which is cool and subtle. 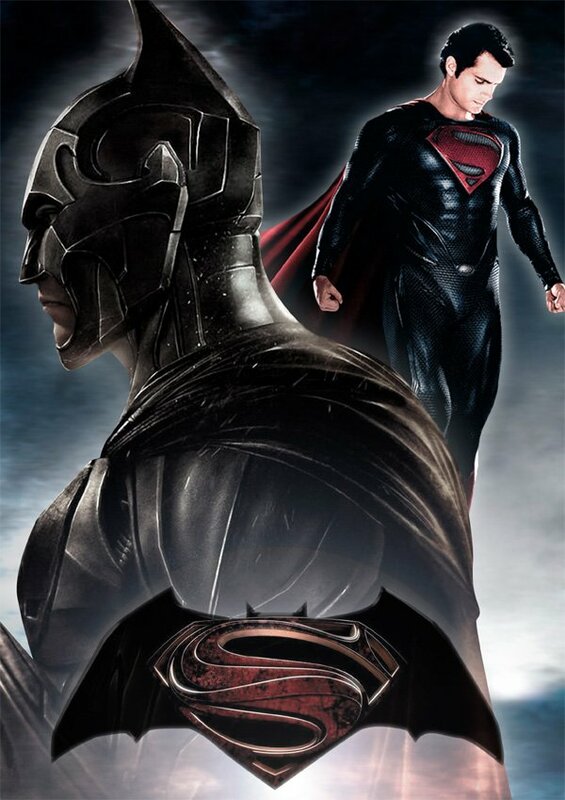 Batman got his own solo poster, so it’s only fair that Superman would get one too. Created by DeviantArt’s ToHeavenOrHell, what I like about this one is the fact that you actually have to look hard before you realize that the Man of Steel isn’t alone in the image. Blending in with the cityscape in the background is a swarm of bats making up the bat symbol, a la the opening of Batman Begins. It also reminds me of the first poster for The Dark Knight Rises, which is definitely a good thing. There isn’t anything that striking layout-wise in this poster from artist AndrewMJBaker at DeviantArt, but what I can appreciate about it is the idea of radically changing up Batman’s armor (borrowing a design from the video game Injustice: Gods Among Us). The folks behind the film have been adamant about the new movie being set in a different universe from Christopher Nolan’s Dark Knight trilogy, so why not take full advantage of that by making the character look completely different? The version seen here almost makes the costume look like it is partially out of metal, which wouldn’t be the worst place to start with the new version. 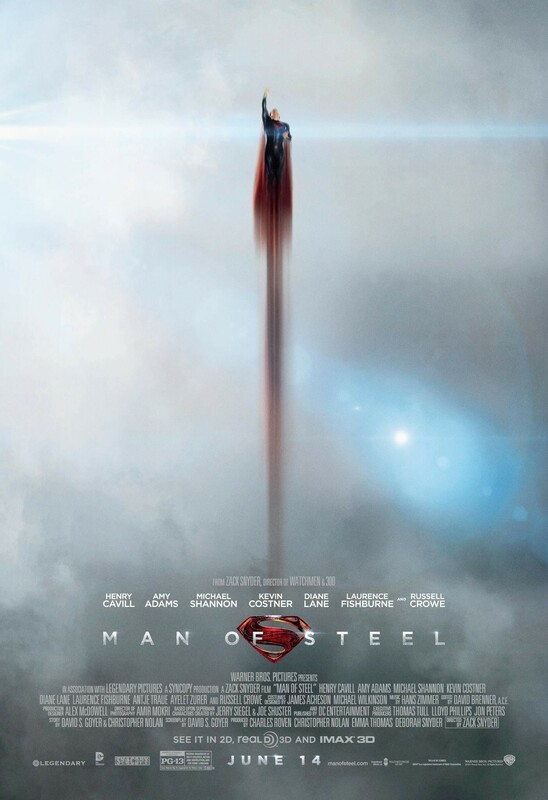 The Man of Steel poster featuring Superman soaring into the sky was one of my favorites for the movie, but this design found over at ComicBookMovie puts a cool dark spin on it. Including the LexCorp building is a nice little Easter Egg, but my favorite part of this one is how the Batman symbol is almost invisible unless you’re explicitly looking for it. In fact, I like it so much that I’ll leave you to try and find it.